This past Saturday, I was able to spend the day with Tory Johnson, ABC Good Morning America workplace contributor and female entrepreneur extraordinaire, and the amazing women (and men!) 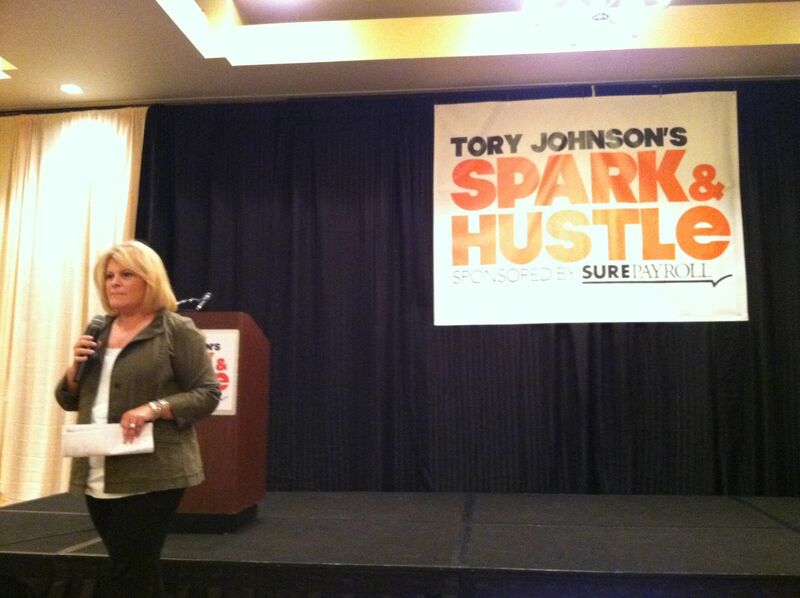 of the Boston Spark & Hustle conference. As the Q&A Keynote on Saturday morning, I was able to share some of my experience as the founder of Styleta and Gym-Pact. I was pretty nervous the night before, since it was my first time being a conference keynote, but Tory was amazing at guiding me with the questions. The audience questions were also fun to answer and gave me some great ideas for both startups! I stayed the rest of the day to listen to the other speakers and definitely learned a ton. Here are some great tips I learned. Update those online profiles – yes I mean Facebook too! I’ve seen plenty of FB profiles of recent grads that still seem to say they are students. For me, I definitely need to do some work on my FB and LinkedIn. Leverage small successes to get bigger ones, especially in media features. Got covered or wrote for a local newspaper? Put it in your bio and keep adding to it. I’m going to update by bio to include media mentions! Have 3 soundbites rehearsed that you must share with reporter no matter what questions they ask. Good advice that I wish I had heard before my interviews! People have different preferred communication methods – if they’re not responding to emails or calls, try Twitter, FB or texting. Break that mental barrier between personal and business contacts, and don’t be afraid of telling people what you do for a living! Got other tips? I’d love to hear them!